Sometimes you want to travel somewhere on your vacation, but Paris seems just too expensive even if for a couple of days only. You have other plans which you also need some money for, so you can’t afford to splurge on holidays and it would be amazing to travel somewhere fairly cheap for a change. I hear you! 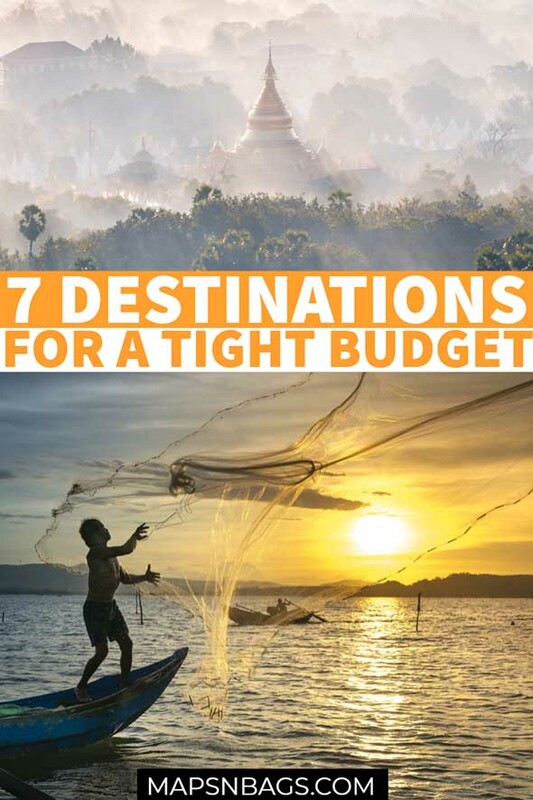 The world seems to be getting more and more expensive, and for that reason, this post includes the best and cheapest destinations to travel to. Because it can’t get cheaper than $20 a day, right? So read these suggestions to have an idea about prices in these inexpensive destinations! Thailand is an incredible destination for budget travellers. 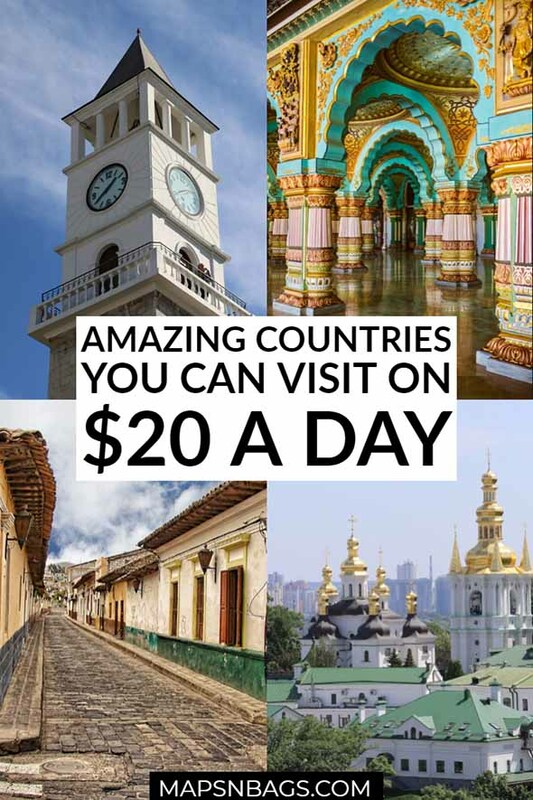 Not only are there blue water beaches, exotic landscapes, ancient temples, and historic ruins and monuments, but it’s also inexpensive to see them all. There’s lots of great value accommodation in Thailand, even if you’re travelling solo. You easily can stay in a hostel dorm for $5, but I recommend staying at cheap guesthouses and homestays for an authentic local experience, especially if you’re travelling with someone else and can split the cost. Often homestays and guest houses have shared bathrooms, but you can book a private bedroom. Prices vary hugely but you can pretty easily find a room at a cost of $10-$15. They also have a lot of character. Plus, not only will you get to meet and interact with locals, but you’ll also likely get to try a free traditional Thai breakfast like soup or curry. The best Thai curry I have had in my life was for breakfast at a homestay in Bangkok. On the topic of food, Thailand is also a great destination for cheap but totally AMAZING street food. You can buy incredible food to eat on the roadside or in markets for literally 1-2 dollars, and it genuinely tastes better than a lot of expensive restaurant food. Click here to find cheap accommodations on Booking.com or Hostelworld! Kuala Lumpur is a big transportation hub in the SE Asia but, nevertheless, it’s a wonderful cityscape in itself, not least because it’s relatively affordable. Taxis, for instance, in Kuala Lumpur are super affordable and inside the city, the fare should always be less than 6$. If your budget is 20$ per day, you can find bunk beds for 8$ a day. The big hotel booking sites always have special offers, though, so if you don’t fancy sharing a room, you can find a single room bed for 12 bucks or so. If you are a couple or travelling with a friend, there are plenty of rooms which cost around 20-22 dollars. Food in Kuala Lumpur is dirt cheap. If you eat where the locals eat, noodles and rice portions are around 2$. Beer at a local supermarket costs 1,4$ since this might be useful knowledge to someone, hehe. Besides Petronas Tower, I’d recommend having a look at KLCC Park and the Botanical Garden. Sri Maha Mariamman temple in Chinatown is worth seeing in addition to the market. 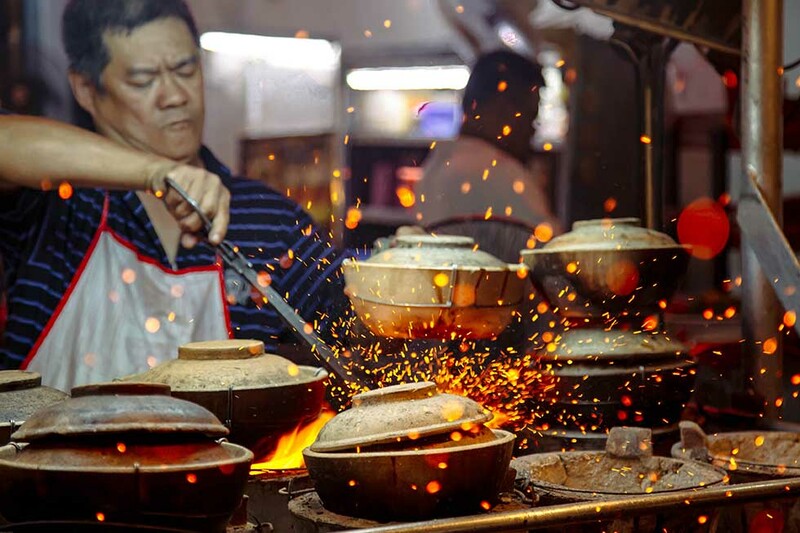 The Petaling Street market offers an abundance of fake goods at inexpensive prices if you remember to bargain. I wouldn’t necessarily buy anything from here but would rather concentrate on sampling the cheap street food portions that don’t leave a dent in your wallet. Pssst: Subscribe to our newsletter to receive fresh tips in your email. Bonus: Get free access to our private library full of freebies! Subscribe! I visited Vietnam last year and it surprised me twice. First, because I really liked it while I had heard mixed reviews about it. It’s a country with stunning natural beauty, and most people were friendly. And second, because it’s still an affordable destination, possible to travel on 20$ a day. 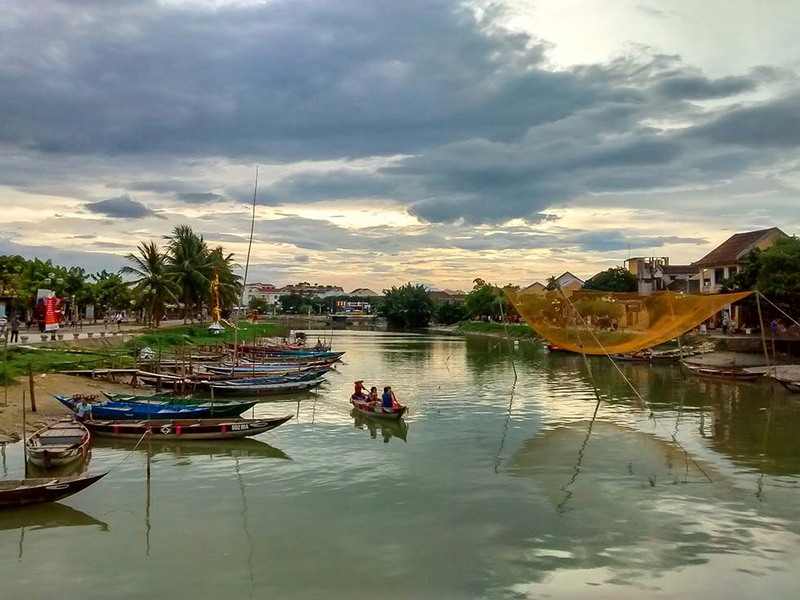 In three weeks I traveled from Hanoi to Da Nang by bus, stopping at Tam Coc, Phong Nha, and Hoi An. I also did a 2-days tour to Halong Bay from Hanoi. And all this for 15€/day, which is about 17.5$! It was low season (June-July), so I’m not sure how different it is to travel in Vietnam during high season. accommodation: I typically paid 5-7$ for a bed in a shared dorm. transport: bus from Hanoi to Tam Coc was about 2$, and Tam Coc to Hoi An was 20$ (night bus). Kyiv, Ukraine is a city that is often overlooked by travelers due to its troubled history, but it is a safe and charming European capital. Not only is it beautiful – it’s the most affordable city in Europe. Top-rated hostels start around $5 per night, such as the Pallet Hostel at $6. 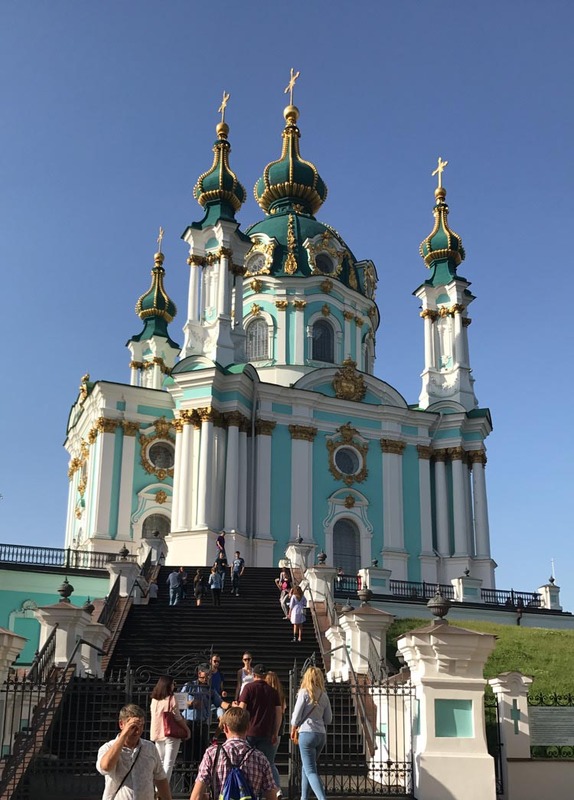 Start your trip with a free walking tour that shows off Kiev’s gorgeous architecture and history, including stops at Independence Square, St. Andrew’s Church, and more. Want to explore some of the sights further? Entry into most religious buildings costs only cents. There is no shortage of inexpensive food when you get hungry. Peruse the ice cream or fruit stands along the sidewalks for treats costing around a dollar. Puzata Hata is a city-wide chain that serves traditional Ukrainian food at a low cost, such as a plate of dumplings, borscht, and some sides for around $3 total! 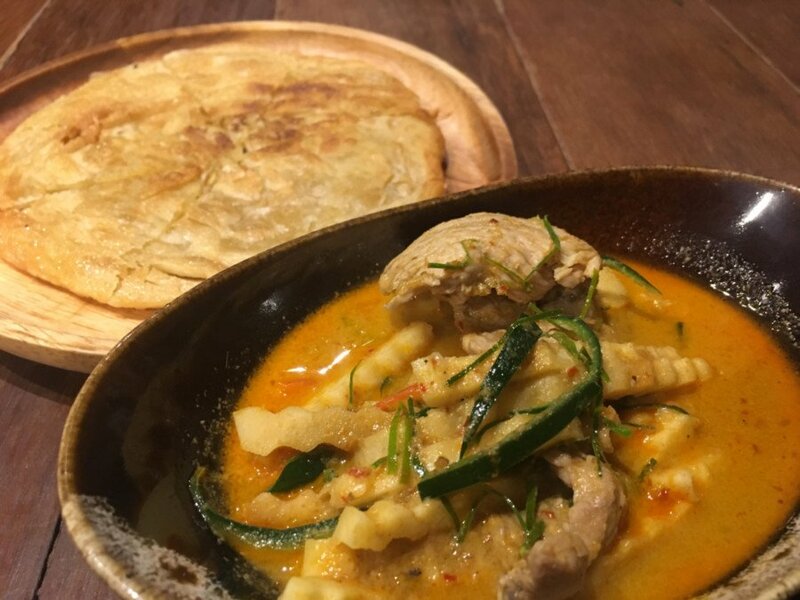 Be sure to look out for Georgian food as well – the neighboring country’s cuisine has inspired many trendy-yet-cheap restaurants around the city. Round out your day by walking through Landscape Alley with its intriguing sculptures and amazing views, or check out the many street performers and lights around Khreshchatyk. 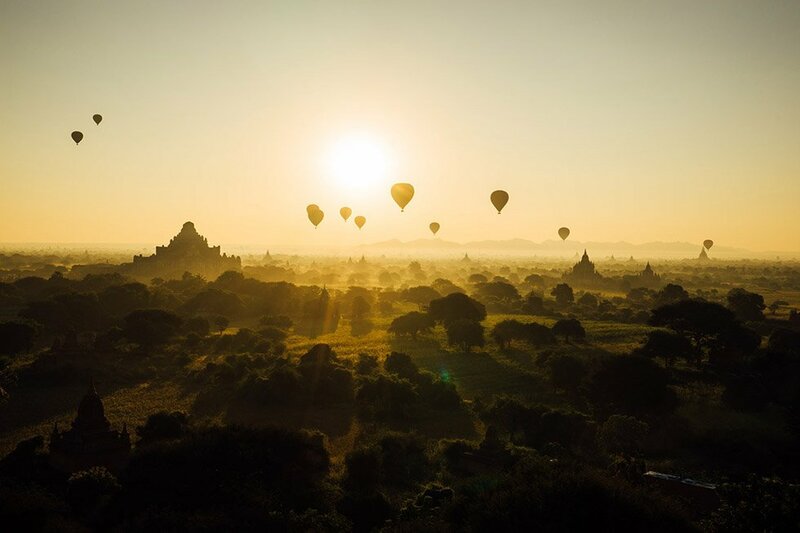 Myanmar is a budget destination which will take you off the beaten track and leave you in awe every day. 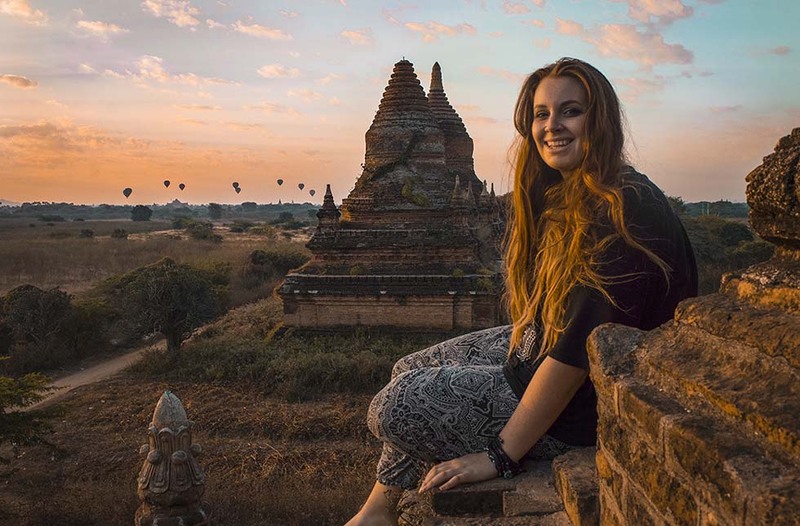 One of the cheapest countries to travel in is perfect for a wide range of travellers wanting to maximise their dollar and enjoy mingling with the locals. Accommodation here is what will probably take up the majority of your budget, but don’t worry it will all even out! For a basic dorm room, you can expect to pay approximately $10.00 per night. Many hostels in Myanmar include breakfast in their rates so that is saving you one less meal to buy. Also, the quality of the accommodation in Myanmar is some of the highest I have seen in South East Asia. I am happy to pay a few extra dollars for a clean room, a sturdy bed, personal light, and universal outlets. Food in Myanmar is extremely cheap, especially if you want to eat like a local. Don’t expect to pay more than a few dollars for a meal. Whether you are feeling like a Western or Burmese bite to eat you will find plenty of options and all competitively priced. Oftentimes in budget destinations, accommodation and food can be cheap but activities can cause you to break the bank. Well, you don’t need to worry about this in Myanmar! The famous circular train in Yangon costs $0.15, hiring an e-bike to explore Bagan will set you back about $5.00 and I even found a day tour in Mandalay for just $6.50! 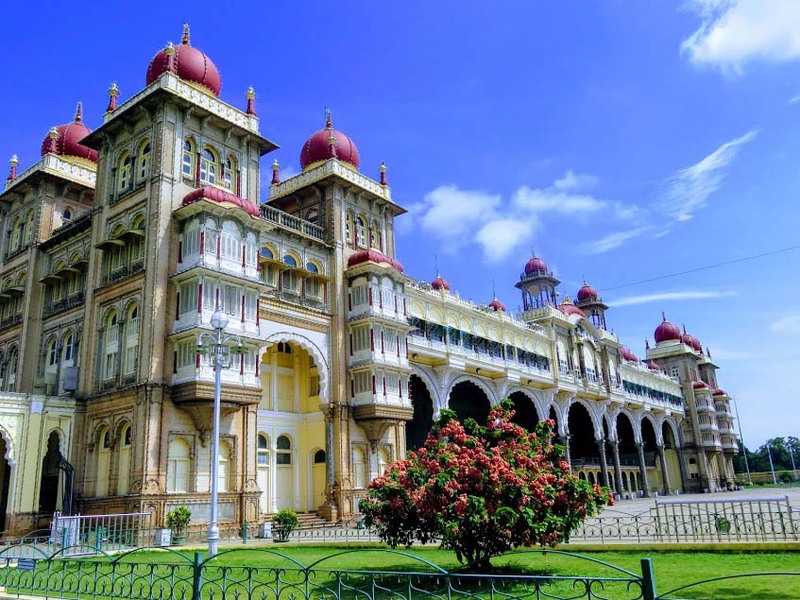 Mysore is the perfect budget destination in the South of India. Unlike many other cities in India that took their time to grow on me, Mysore was love at first sight. The city of palaces, heritage homes and old colonial mansions has a lot of character, delicious food, friendly people, and a relaxed atmosphere that make this a great city. It is not for nothing that it has become the yoga capital of India and many travellers have made it their home for several weeks or months attending one of the professional yoga courses it has to offer. One of the reasons is that accommodation and food are easy on your wallet. Mysore can be as cheap or expensive as you like, but for 20 dollars a day you can have a very comfortable time in Mysore. Accommodation in one of its social hostels will cost you less than 6 dollars, but even a private room doesn’t break the bank with 10 dollars. Food is also cheap in Mysore. You can start your day with a dosa. These rice pancakes are a perfect breakfast for less than one dollar. For lunch, a South Indian set meal will cost you between 2 or 3 dollars and they are absolutely delicious. For dinner, you can go to one of the vegan restaurants in Gokulam where a sandwich or healthy soup will set you back 3 or 4 dollars. The main attraction is Mysore Palace, right in the middle of the city. Entrance is only one dollar and you can easily spend your whole morning here. The other attraction is the Chamundi hill. A bus will bring you to the top of the hill for even less than a dollar. The beautiful view and the entrance to the temple are free. This will leave you enough money in your pocket at the end of the day for shopping at Devaraja market. An explosion of colour and fragrances. Even without buying anything a visit is well worth the effort. 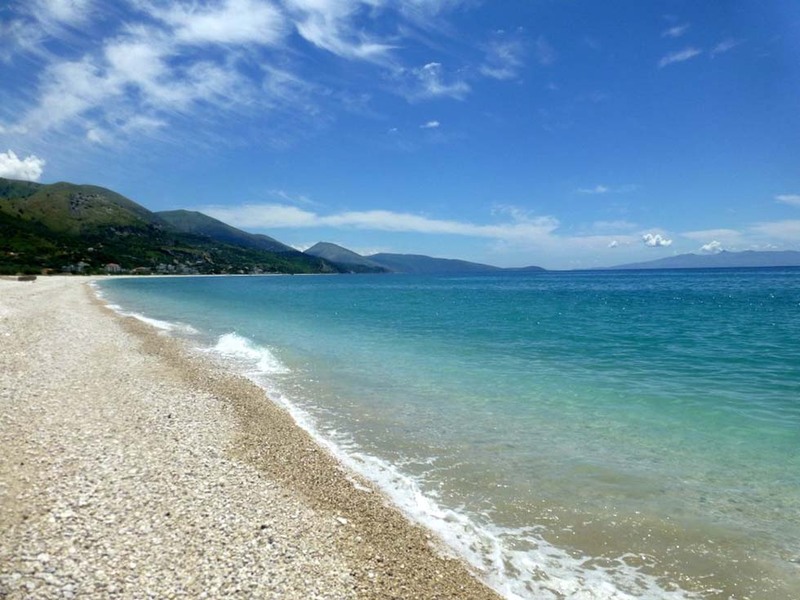 Albania is a perfect budget destination to visit in Europe. You can explore mountains, cultural sights, and experience pristine beaches while having a fabulous low-cost holiday. We spent a month traveling around the country but spending only a week there is enough to see the highlights. Local buses cost a few cents only, and you can travel between settlements for a few bucks. Popular beach towns are Durrës and Sarandë, although we preferred smaller towns and beaches along the coast. Don’t forget to visit Butrint and Gjirokastër, two UNESCO world heritage sites. You will learn a lot about the rich past and architecture of Albania. And how cheap is it? Dorm beds can be as cheap as $7, and if you are lucky you get breakfast for a little bit more. Simple meals at local restaurants are around $5, and there is a big variety of inexpensive fresh produce at local markets too. If you get exhausted sunbathing and swimming the whole day, grab a cheap beer or two in the evenings, and don’t worry about your funds. These places are truly inexpensive, right? I have to admit that I caught myself searching for (cheap) flight tickets to these destinations. But tell me something, have you ever been to any of these countries or other places where you barely had to spend your money? Comment below because I’m curious to know!